Historically accurate, spiritually profound, and evocatively written, this fictional biography of Hildegard of Bingen offers an unforgettable encounter with the astonishing medieval nun, visionary and prophet, artist and healer, counselor of kings and popes, and composer of divine and long-lasting music. 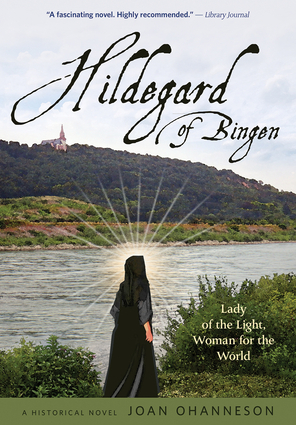 The story paints a vivid picture of the medieval world, and masterfully weaves in Hildegard’s own accounts of “the Living Light,” lending an air of authenticity to the narrative. This is an absorbing portrait of a spiritual leader who would become one of only 34 individuals—and one of only four women—to be named a Doctor of the Church and of a figure who shattered stereotypes of what it meant to be a woman and a scholar in the Middle Ages. Joan Ohanneson was an author, a producer, a teacher, and an international speaker who lectured extensively on Hildegard of Bingen. She was known for her contributions in the areas of spirituality, sexuality, and women’s gifts.